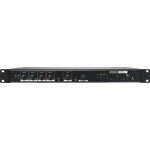 The A4435 is a unique Redback PA mixer features four input channels which are user selectable for either balanced mic, line or auxiliary use. 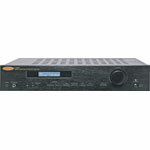 In addition it incorporates a four channel SD card based message player making it an excellent choice for retail, supermarkets, hardware stores and more. 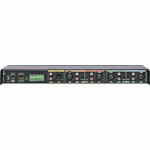 The mixer could be used for general paging and BGM applications; and the message player for customer service applications, in-store advertising or for pre-recorded commentary at galleries, display stands etc. The message player and each input all have individual level, treble and bass controls. 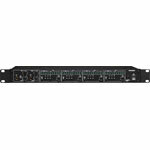 Vox muting is provided for channels one and two with front panel adjustable sensitivity. The message player has priority and slots in between input one and two. Custom messages, tones and music may be loaded onto the message player SD card. The messages are activated by a closing set of contacts. If input one is active when a message contact is closed, the message is queued and played once input one is no longer in use. Messages are played on a first in, best dressed (FIBD) basis, and will also be queued if one message is playing and another is activated. Input four is also fitted with a 3.5mm jack input for connection to a smartphone/tablet as an audio source. When connected, this overrides any source connected to input 4 on the rear panel. 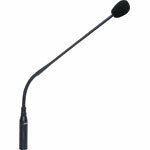 Each input has a 3 pin XLR (2mV) and stereo RCA socket with adjustable sensitivity settings. These can be set 100mV or 1V for the stereo RCAs. Message player contacts are provided via pluggable screw terminals. 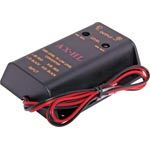 24V DC operation from the included power supply or battery backup.